Randal has been asked to provide illustrations in many textbooks. This one was done for an elementary textbook on the Castle Keep. 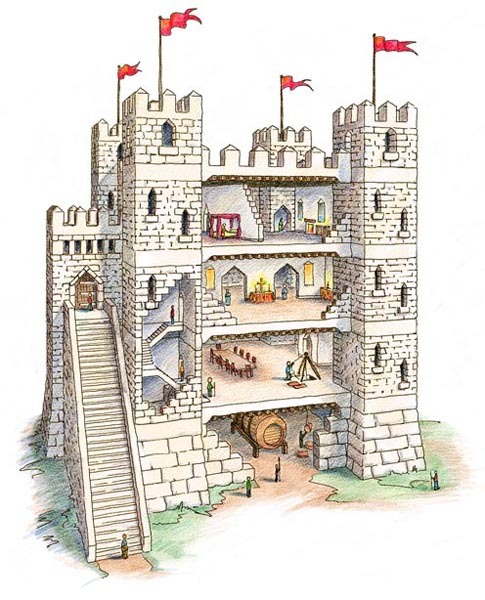 It is a cutaway diagram showing the floors and various typical activities inside the Keep. This illustration was hand done in Corel Painter software on a Macintosh computer using a Wacom Tablet.